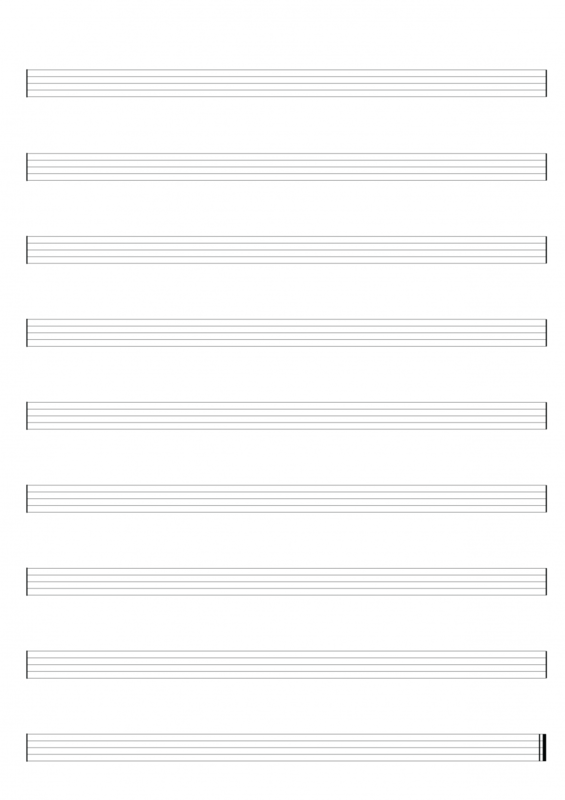 Download the free PDF file to get unlimited access to printing your own blank drum sheet music. You can use this to hand write your own drum beats, drum fills, or for writing out the drums for a song. Teachers can use these to write out drum music for their students. Composers and arrangers can print these off in order to hand write a quick drum score. There are no annoying watermarks or footer text – it’s just plain blank drum sheet music staves with no writing. Please don’t distribute the PDF file on any other website or via email – please just link to this page if you want to share it.